There’s a difference between getting old and older. “To keep the heart unwrinkled, to be hopeful, cheerful, kindly, reverent – that is to triumph over old age” – Thomas Bailey Aldrich. At the tender age of 26, I am constantly reminding myself of how old I am getting. I do this every time my knee cracks or my back hurts. The difference between me and, say, a 79 year old man who skates, is that I keep repeating that I am getting old, rather than older – because we all get older, but that doesn’t mean that we must lose our youthful spirit. 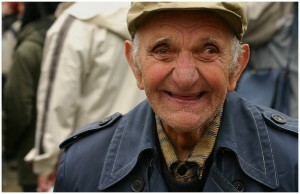 I realise it’s unfair to blame my physical problems on aging, when in reality, age is just a number. For years, we’ve associated getting older with pains and aches and with losing our independence. However, there are more than enough people to prove us wrong. Recently, an 81 year old British expat wowed people in the center of Madrid and the world. Walking with a cane and claiming she suffered from arthritis as passerbyers watched a couple dance, she then proceeded to dance twirling and flipping with a professional dancer. Today, two women born in the 19th century still walk amongst us. They are 116 and 117 years old and hold the record for the oldest living people on the planet. Joyful, eating what they like, and enjoying their lives, these women are living proof that longevity can be achieved. As of 2015, there are 45 centenarians (two men and 43 women) accounted for, out of which 20 are Japanese. 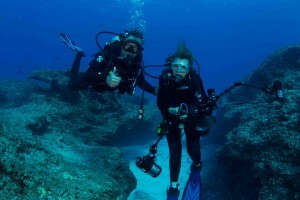 At age 80, Sylvia Earle continues working and scuba diving. It is no surprise that people are living longer; after all, medicine and technology have come a long way in terms of development and availability. But these centenarians were born long before television and modern medicine – they survived on healthier diets and a much less sedentary life. Many seniors have started picking up new hobbies in their 50s or 60s and are now blowing the world’s minds away by pole-dancing, parachuting or scuba diving. More often than not you will hear people claiming that living longer is associated with your attitude and how much you still have left to give to the world. Although not entirely untrue, there is more than just smiling every day and starting the day with the right foot. Places like Japan, Spain, Israel and New Zealand have populations living well into their late 80s. Their diets, lifestyles, health care systems and stress relief activities are mainly to thank – but keeping a youthful attitude is a huge contributor, as well. It’s not just how much you have left to give the world, but also what the world has left for you. There is nothing like “old age” to start a new journey. Pack your belongings and retire abroad for a plentiful life, new adventures to keep you young, and to leave this planet having seen it all. Retiring expats are popular, because after having worked a full life, it’s about time you enjoy your free time. Your new hobby could come in the form of travelling and seeing new cultures – and if you’re wondering where to go, here are some retirement hotspots. “Happiness is a decision, not a circumstance”, according to a senior living in Loma Linda, California – the healthiest city in the world. Get out there, blow the candles one more year and remember: it’s never too late to start adopting a healthy lifestyle and a new hobby to keep you active and motivated.